The Luzhniki stadium is an absolute dream of an arena. It is no surprise that it has been aggressively advertised as the crown jewel of the 2018 FIFA World Cup. What makes the experience of watching a game in this 81,000-seater even better is having fans like the Mexicans chanting and roaring as their team stunned the reigning world champions in their very first game of the tournament. Argentina, Brazil and Germany had 71 shots between them, scoring only two goals. Their opponents Iceland, Switzerland and Mexico had 27 shots and scored three. The Mexicans had swarmed the city days ahead of the game and were absolutely everywhere. They made their presence felt. If the Russian fans drew their energy from their national team’s stunning opening-day victory over Saudi Arabia, the Mexican team drew theirs from their scores of fans. It worked, and the counter-attacking football that the Latin Americans displayed against the four-time champions did wonders. It seemed almost impossible that Germany would be the victim of the champion’s curse; three of the last four World Cups saw the defending champions crash out in the group stage. Germany became the sixth reigning champion in World Cup history to lose its opening match. It was also its first loss in an opening game since 1982. So earthshaking was the lone goal scored by Mexican winger Hirving Lozano that the Mexican government stated that celebrations following the goal set off an “artificial earthquake” in two places in Mexico City. In the post-match euphoria, one fan proposed to his girlfriend outside the Luzhniki. The huge cheer that erupted from the crowd around them almost drowned out her “yes”. 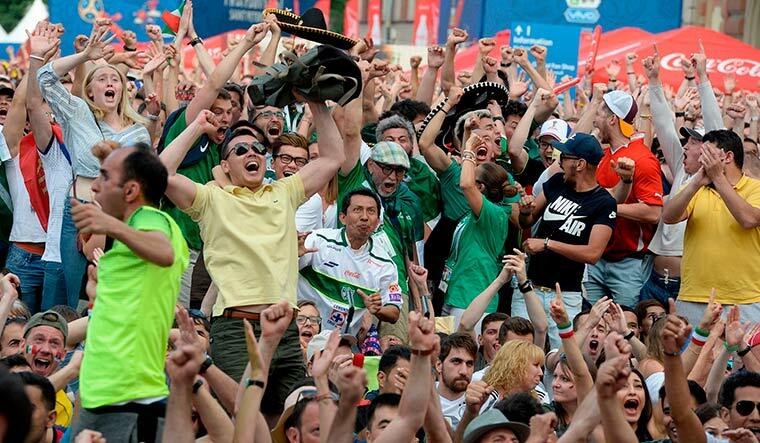 The joy of the Mexican fans were so infectious that it brought smiles to the faces of even the stoic Russians. One policeman on a metro station platform, who had been standing motionless for long, even obliged to high-five a singing fan, as one Mexican group passed by. Such has been the effect of the World Cup performances by underdog teams taking on the top dogs. 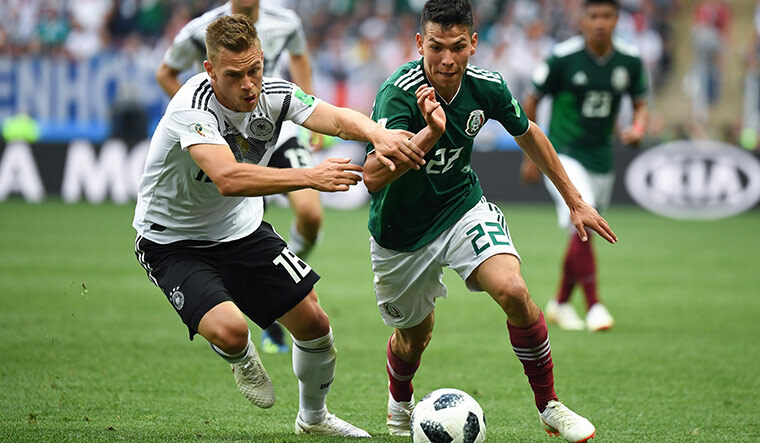 The first games of most major contenders reaped unfavourable results, throwing the competition wide open to make it one of the most closely fought group stages in recent times. While upsets are common in “groups of death” at the World Cup, the absence of any such group this time and surprise upsets have made nearly every group a group of death. Ten of the first 12 games at the World Cup were either narrow one-goal victories or draws, but not a single one was goalless. Thirty-four-year-old Cristiano Ronaldo turned back time with a blistering hat-trick against Spain. It was his 51st career hat-trick and also the 51st in World Cup history. It helped Portugal earn a 3-3 draw against a strong Spain, who were reeling from the internal problems caused by the dismissal of head coach Julen Lopetegui just two days before the game. The players are said to be furious by the decision of the Royal Spanish Football Federation (RFEF) and the situation was reminiscent of the fallout among French players on the eve of the 2010 World Cup. But despite that, Spain controlled the game with 61 per cent of the possession and looked good in attack. However, they were let down by a leaky defence, including a howler from David De Gea—arguably the best goalkeeper in the world. Latin American rivals Argentina and Brazil were both held to 1-1 draws after getting off to pulsating starts in their respective games. Replays of Philipe Coutinho’s curled long-ranger for Brazil, against Switzerland, had eager commuters on the metro I was travelling in gasping for breath and cheering as the match was aired live in every compartment. Brazil fizzled out in the second half and conceded from a set piece. Yet, it is the tiny nation of Iceland that has been the story of the week, both on and off the pitch. A country of less than 3.5 lakh people managed to hold off a country whose capital city alone has 29 lakh residents. The team comprises a goalkeeper who was a film director, a defender who works in a salt-packing factory and a head coach who doubles as a dentist. 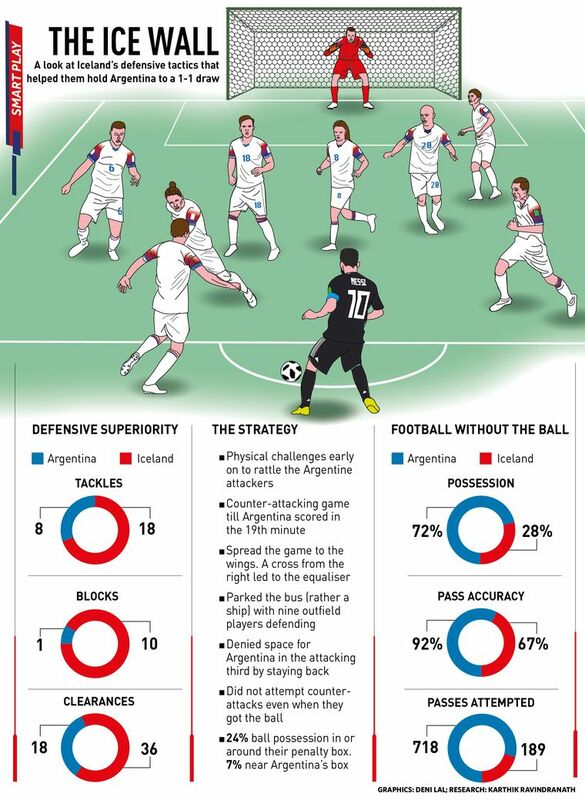 The Icelanders put on a resolute defensive show to deny the Argentines (see graphics) and have won the hearts of neutrals at their very first Cup appearance. The ‘thunder clap’ performed by their fans, which became a trend during their dream run in Euro 2016, only adds to their appeal. A father-son pair I met had their faces painted in the national colours and seemed icily calm about the virtual victory, as if denying Argentina a win happens every day. “It was a good game. We certainly didn’t expect it, but maybe you will see us in the final soon enough,” said the father, with a twinkle in his eye. He said that football is a massive sport in their tiny homeland and he had seen many more fans at the Euro in France; probably the distance to Russia led to the drop in numbers. A rough start to the campaign for these big sides reveal an interesting stat: Argentina, Brazil and Germany had 71 shots between them, scoring only two goals. Their opponents Iceland, Switzerland and Mexico had 27 shots and scored three. 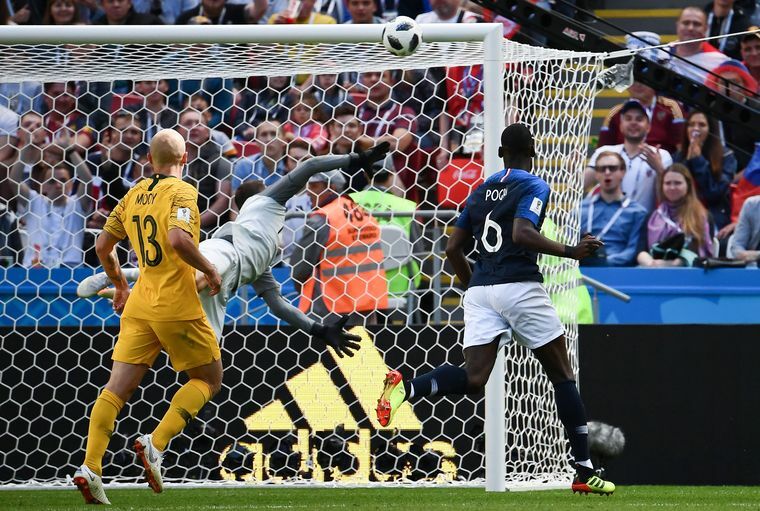 Even France, which scraped past Australia 2-1 in their opening game, looked threatened by the Aussies on many occasions. The game also featured the first successful intervention of the video assistant referee (VAR) to award a penalty kick to France, which Antoine Griezmann converted. Their second goal also needed technological assistance as Paul Pogba’s deflected poke hit the crossbar and seemed to land on the goal line before bouncing away from the goal. Goal-line technology confirmed that it had crossed the line. 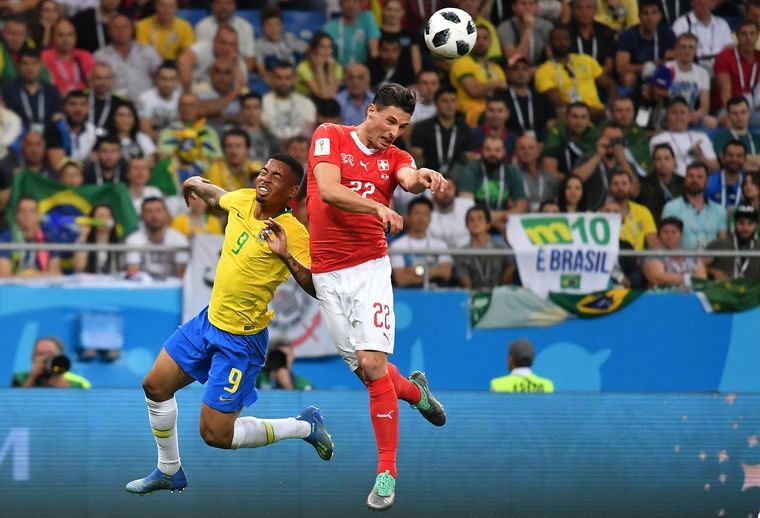 Steven Zuber’s equaliser for Switzerland against Brazil involved a scuffle in the box, where he pushed Brazilian defender Miranda before heading the ball in. The VAR failed to notice it, just like when Argentina’s Cristian Pavon was tripped in the box, against Iceland. There have been some beautiful goals that are early contenders for goal of the tournament. Ronaldo’s free-kick against Spain was only bettered by Serbian captain Aleksandar Kolarov’s against Costa Rica—the giant killers from Brazil 2014. Coutinho’s effort against Brazil wasn’t half bad either. Spain’s Nacho hit a belter from outside the box and Belgium’s Dries Mertens scored from a dipping volley, from within the penalty box, in his country’s 3-0 win against Panama. The opening match of Group H was yet another upset as Japan beat Colombia, who were expected to top the group, 2-1. In doing so, the Japanese became the first Asian side to beat a South American team at the World Cup. The official match ball, the Adidas Telstar 18, came under intense scrutiny for deflating thrice in two games. Twitter showed no mercy, with one user even tweeting, “How many more balls do we need to pop before the game is called off and a draw is awarded?” The other hit on social media was Neymar’s World Cup hairstyle. He was trolled mercilessly for the “spaghetti top”. South Korean manager Shin Tae-Yong left everyone in splits when he said that he had used a peculiar tactic when the team trained in Austria before the Cup. Tae-Yong found out that a spy from the Sweden team, was lurking around the training camp. “We switched our players’ jersey numbers around to confuse them. It is very difficult for people from the west to distinguish between Asian faces,” he said. Sweden later admitted to scouting their group stage opponents. The scout, who is a member of Sweden’s coaching staff, said he had set up a telescope and spied on the team from a home nearby. Tae-Yong said that he understood why it was done, but it left the Swedes red-faced. Perhaps Koreans could blame the “spying” for the eventual loss to the Swedes. A low point in the opening week was when a rogue car hit pedestrians on a sidewalk in Moscow. CCTV footage showed the driver, who arrived at a traffic signal, suddenly swerve the car onto the pavement and ram into passing fans. Eight fans were injured, but none seriously. For some time, the city was in a state of shock, wondering if it were a possible terror attack. But, the Moscow police quickly brushed aside the matter, saying that the driver had dozed off behind the wheel. 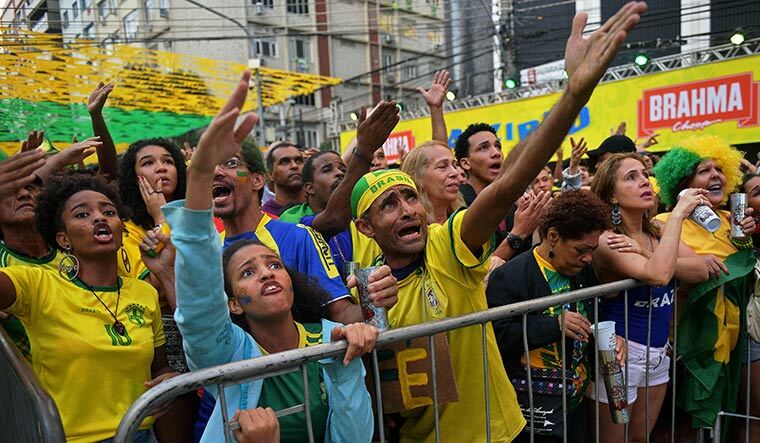 Amid such fears on the streets of Russia and much excitement is the football stadiums spread across the country, the 2018 FIFA World Cup is galloping forward at breakneck speed. In football, like in any sport, it is always of great interest, to the neutral fan especially, when the smaller teams give the biggies a tough fight. The FIFA World Cup has never seen an underdog win the tournament, though there are numerous instances when they have come close. Ghana (quarterfinal, 2010) and South Korea (semifinal, 2002) were the last two teams to challenge the Latin American-European axis of football powers. Chances of an underdog winning may not be all that high, but they are certainly keeping spectators on the edge of their seats. THE RUSSIAN AUTHORITIES have gone the extra mile to ensure security during the World Cup. There are security personnel at every nook and corner. For several days, the Red Square was closed to tourists, citing security concerns. It left fans annoyed, but they moved the party to nearby streets. At the closed-off locations, security personnel would stand stone-faced. One of them would then announce the closure over a megaphone. He would repeatedly say, “Zakryto”. If you ask him what it means, he would form a cross with his arms. Closed.